Many people are facing issue with there Lenovo Z50 laptop and other Digital Dolby plus equipped devices after upgrading it to latest Windows 10 operating system. Many complained that laptop sound quality is not like it was earlier. The Bass quality of music is no where after up gradation. Lenovo, Dolby and Microsoft technical forums are full of such question and there is no appropriate answer to this. It is really weird to listen music without proper bass and frequencies. After struggling for few hours I found one temporary solution to this problem. Which is mentioned in this blog post. Technically there can be two scenarios, Either you are not upgraded to latest Conexant Audio Driver for Windows 10 (64-bit) - Notebook or you have this driver and still having this issue. So first lets consider first situation, If you don't have Conexant Audio Driver for Windows 10 (64-bit) - Notebook than you need to install this by clicking above mentioned link. You will be able to notice small difference in your laptops sound quality. Now after installation we have only last scenario, where you have Conexant Audio Driver for Windows 10 installed but still facing sound quality issue. 1. 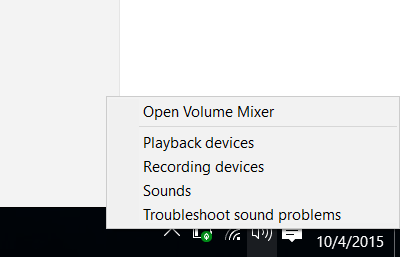 Right click to your sound button in task bar. ( Right down corner of desktop ). 2. 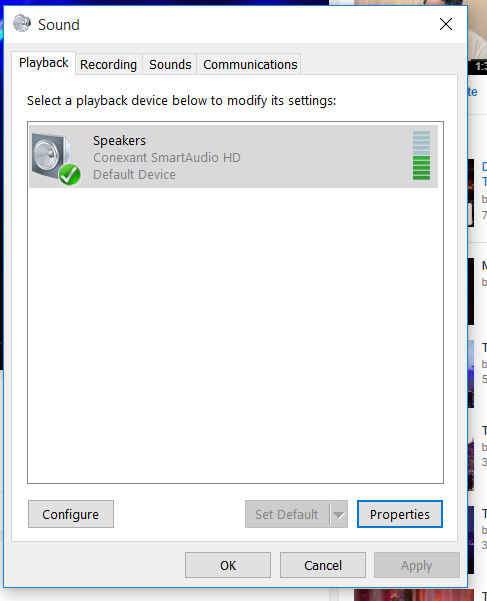 Go to playback device and select your playback device. 3. Find properties button there and click it. 4. Go to Dolby tab and mark it off. 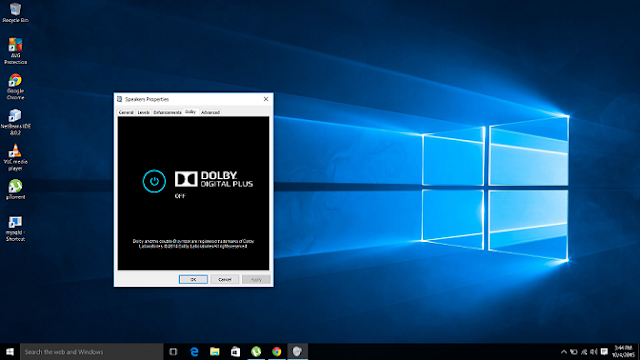 Simply switching off Dolby Digital plus function can solve your issue and you will feel the difference in you sound quality. You can do this change while keeping your music on. Hope this small fix, solve your issue. Note that this fix is tested only for lenovo laptop but it should work for all laptops or computers. Please ask your queries in below comment section. Than you for reading this. Please share. but now we dont get the extra bass and sound quality we used to get in windows 8.1. How do we fix that? 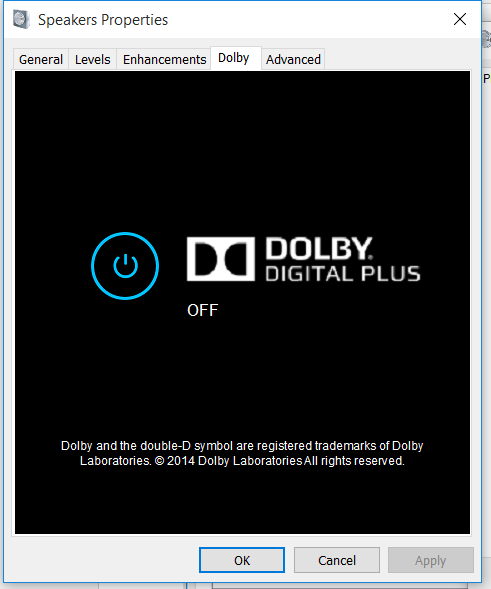 please send dolby digital plus driver setup..?